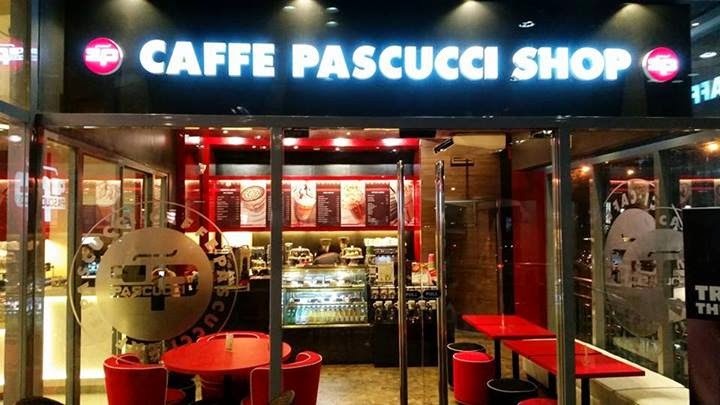 I was lucky enough to got an invite from marketing head CT Camat to try the coffee at Caffe Pascucci Shop. I brought my girlfriend with me and we found out that Caffe Pascucci is franchised from Italy. It actually originated from Rimini, Italy which is a place known for its coffee in the country. The first branch in Glorietta opened last October 1, 2013 but we chose the Robinson's Galleria branch since it was nearer. They certainly have a relaxing ambiance and friendly staff on hand. You won't notice how fast time flies when you are here. It was a good thing we just ate dinner as we were really craving for dessert and we decided on the Arancione Cheesecake (P195). It looked really good and when we tasted it, we found out that it tasted even better. It is smooth and creamy topped with fresh orange flavor. I was actually shocked at how short it took for us to finish this cake. We got the highly recommended Banana Rock (P160) and the Fraspuccio Confuso (P155). I quickly understood why the Banana Rock is one of their best sellers. It is one of those drinks that will make you crave for more. The Fraspuccio Confuso is perfect for those who have the sweet tooth. It contains caramel syrup, biscuit and that addicting confuso cream. 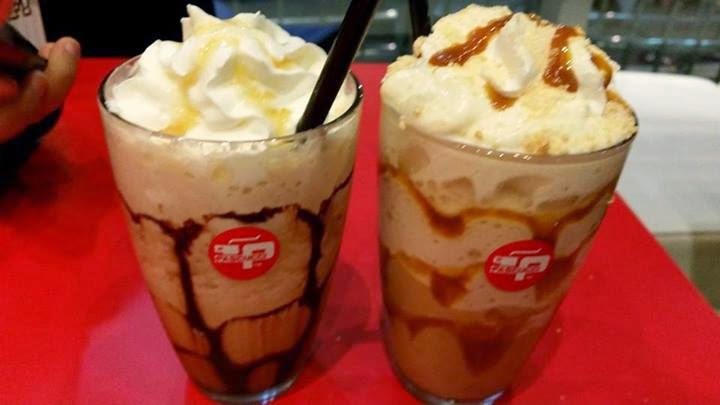 The Banana Rock contains chcolate syrup, banana syrup and whipped cream. 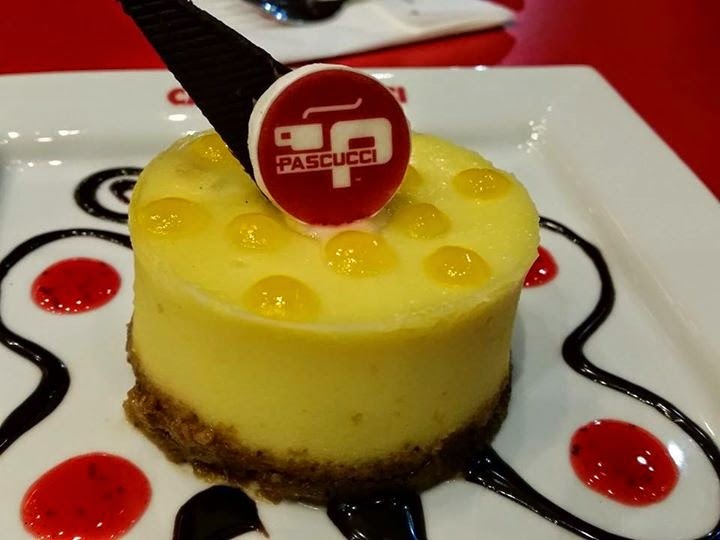 We had a fulfilling experience to say the least at Caffe Pascucci. There is no doubt we will be back.